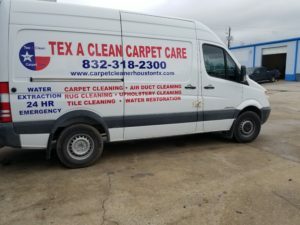 Truck Mounted Carpet Cleaning , are you looking to hire a carpet cleaner in Houston, Tx that has a truck mounted carpet cleaner? Then Call Tex A Clean Carpet Care LLC Today we have the right equipment to better serve you. All of our Techs use Truck Mounted units in our Vans, the another great thing about our company is we are always prepared to take on any job, not only do we have truck mounted units in our vans we also carry Professional Carpet cleaning portables that heat up to 190 degrees up to 210 degrees, our commercial portables also has a 500 psi solution pump for the pressure. So just know we can take on any job. There is no job that cant be done when hiring Tex A Clean, we offer Commercial Carpet Cleaning & Residential Carpet Cleaning Services. Tex A Clean Carpet Care Uses Truck mounted Carpet Cleaning Equipment to provide better heat and suction. To put the works in on battling your carpets back clean with a Truck mounted Carpet cleaning Machine. The Advantage of having a truck mounted machine is that not only dose the machine get the heat and pressure to get the carpets cleaned, the machine also helps with a powerful suction to get the carpets dried more when taking more dry strokes on the carpeted areas being cleaned. Tex A Clean Carpet Care LLC offer all types of Services from, Carpet Cleaning , Upholstery Cleaning , Rug Cleaning and More. We also Offer the Following services Professional Air Duct Cleaning, Tile & Grout Cleaning & 24 Hour Water Restoration Services. If you are in Need of a Local Professional Carpet Cleaner That services all of Houston, Tx & Surrounding areas. With a Truck Mounted Carpet Cleaning Unit Then Call Us Today! 832-318-2300. Call Us Today.